Following a request from Hal 9000, I decided to try and create some scene by scene LUTs to get the TESB bluray to look half descent, using the 1997 SE telecine as the basis, while adding a few touches of my own. I will make these LUTs freely available, as he’s not the first member to make this request. Here’s the first set of frames. 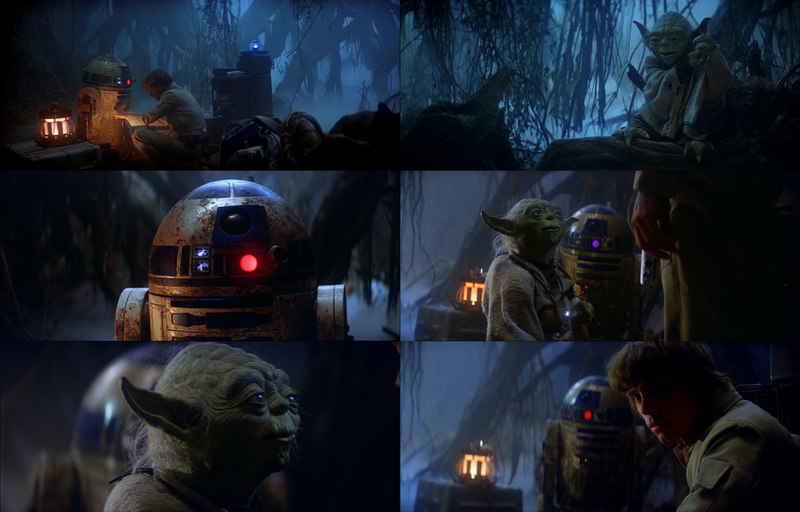 Here’s the scene, where Luke meets Yoda. Not sure if I’m ever going to get around to this, but since there are not that many regrades for The Empire Strikes Back bluray, as for Star Wars, and since I needed a little break from the latter, here are a few experimental regrades, using the 1997 SE as a base. 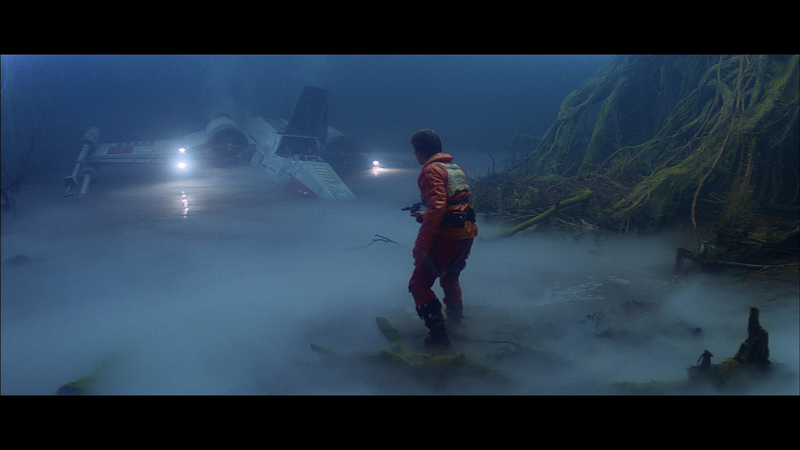 i really like your colors for the final shot, and for the bespin and dagobah shots. 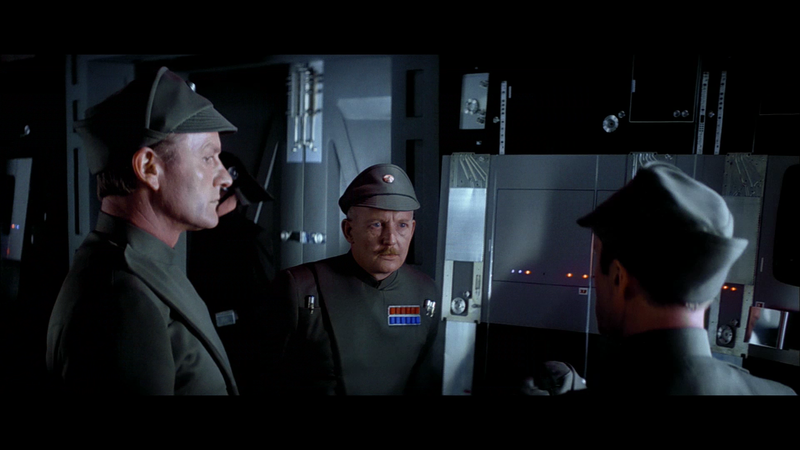 not so sure about hoth though, they look a bit too reddish as compared to the colder tone from the blu-ray. did you do any of the snowstorm shots? those are quite blue in the blu-ray. what about the bacta tank? poita’s scan indicates that the tank itself is the less red artifact of the shot, iirc. Yeah, I would say a few of them feel a touch too warm. With the usual caveat that I have no idea how they’re ‘supposed’ to look. 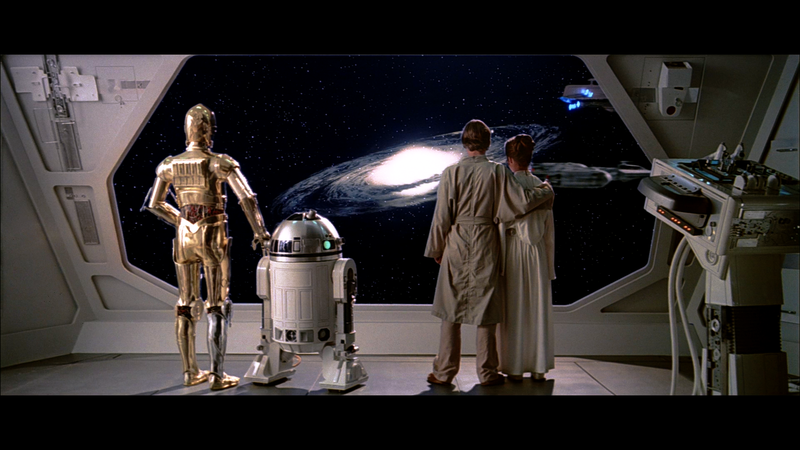 Just so I get an understanding of TESB, how was this originally color timed for the Bluray release? I realise its dark and has a blue cast consistently throughout, but was it also graded shot by shot? I’m trying to understand if it needs a single pass correction for the whole film or a shot-by-shot correction. It was color timed from a scan of the negative, and it’s almost certainly to have been shot by shot. The only thing I have to say is that I think the GOUT is the key to finding out what TESB is supposed to look like. 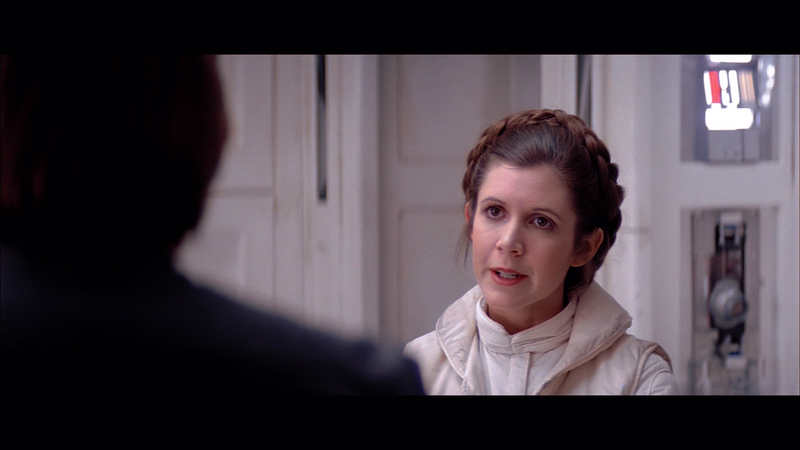 When I found a nice color correction for ANH and applied those settings to ROTJ, it came out very close to the grindhouse ROTJ scan. So I’m assuming that if you have a correction for ANH that works for ROTJ, that using that on the GOUT for TESB will get you something close to the real colors. 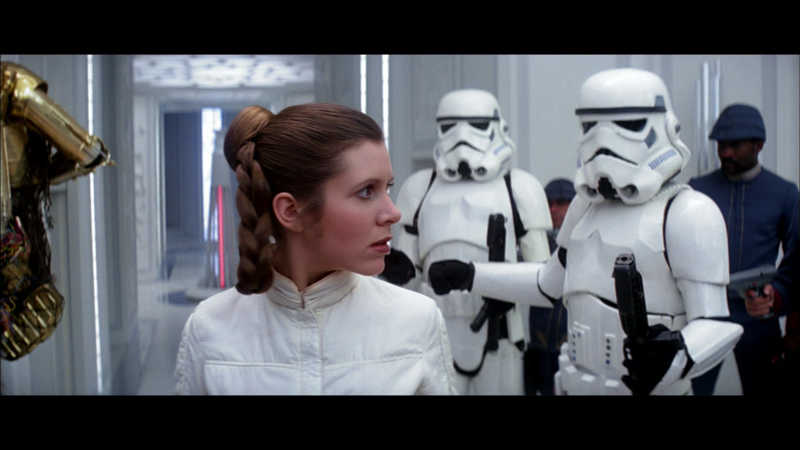 Enough to guide a shot by shot regrade and possibly provide a basic correction that works for most scenes. It sounds to me that Poita’s 35mm scan that has been in cold storage has the best chance of giving us an accurate representation of the color, without the guesswork of GOUT or anything else. We actually have a reasonable color reference for TESB in Puggo Strikes Back. Surprisingly the colors of the 1997 SE home video release is a pretty good match for these colors. As for the samples poita shows us, Hoth is quite a bit more blue than the GOUT would suggest, as are the interiors of the Super Stardestroyer. However, as NeverarGreat mentioned, we will hopefully soon be able to see the theatrical colors when poita scans the unfaded 1980 print he has bought. 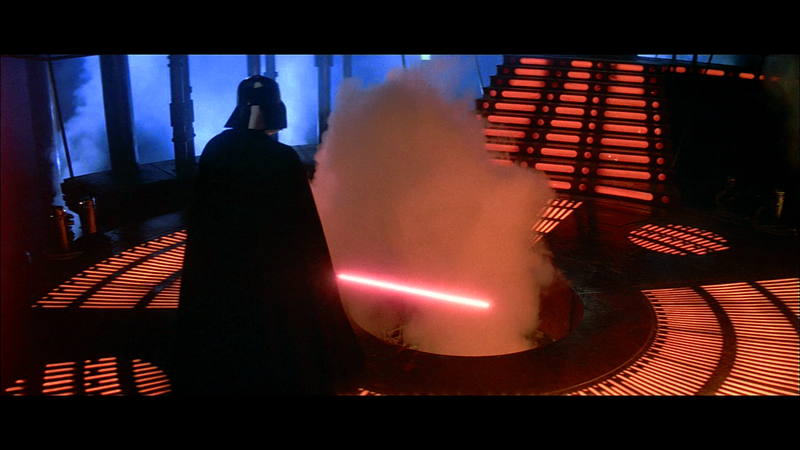 It’s amazing that a simple regrade can fix those awful saber blades. The SE for ESB and ROTJ were based on the interpositives made for the original releases. The negatives were not used (except for the changes I believe). Yeah, Puggo Strikes Back is pretty close to what I arrived at. A lot bluer than I originally imagined. Hmm… the magenta looks a bit too strong on those faces. The frame of Ozzil, Vries and Piett looks fine save for the actors faces which are too pink for my liking, almost as they’re all blushing. Maybe balance it out with a touch of yellow/orange and their faces would look fine. While it has been agreed that Hoth is blue, the blu-ray went overboard with its blanket blue/cyan tint all over the movie, which is most apparent in the Hoth and Dagobah scenes.That being said the AT-AT and the snow now have a hint of pink. That frame of Luke looks better but I suspect it should be a bit more grey-looking and Luke’s pilot jumpsuit looks a bit red instead of vivid orange. Absolutely perfect regrade. 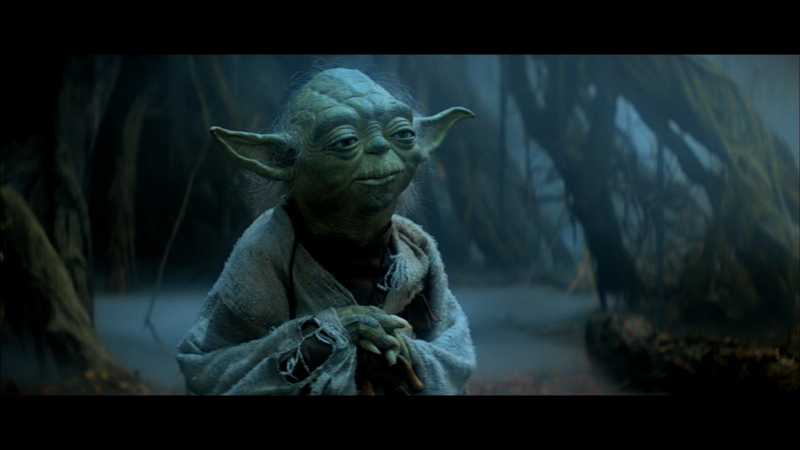 Now Yoda is back to his natural olive green skin colour instead of the neon green that almost makes it look like he could glow in the dark, and the surrounding enviroment is back to the muted greys and browns I remember from promo shots and colour-corrected Grindhouse. Actually this is the one where I think the blu-ray looks better. Your regrade looks a bit flat. Another massive improvement on the blu-ray with the added bonus of restoring Vader’s lightsaber core to its original white instead of bubblegum pink. The light beige on the walls of that frame is how it’s supposed to look, plus the overall warmer tone is a lot more pleasing. 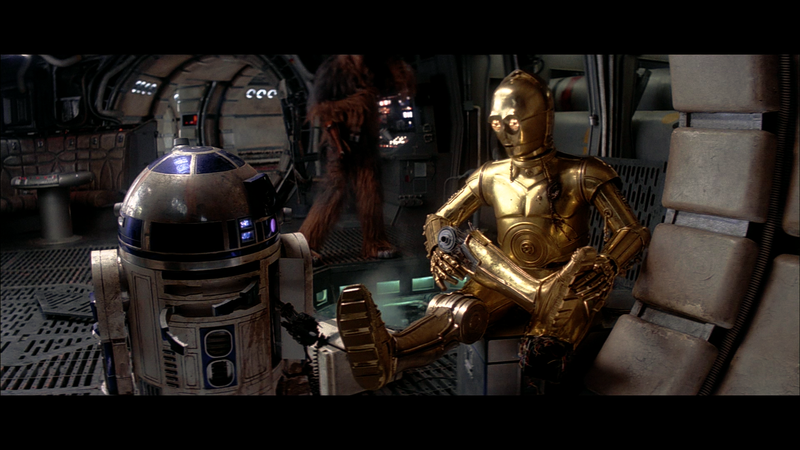 Again, the warmer colours are a lot more pleasing to the eye and 3PO looks more golden which I like a lot. This is yet another improvement with warmer colours. Notice than in the original blu-ray screenshot 3PO looks almost silver. 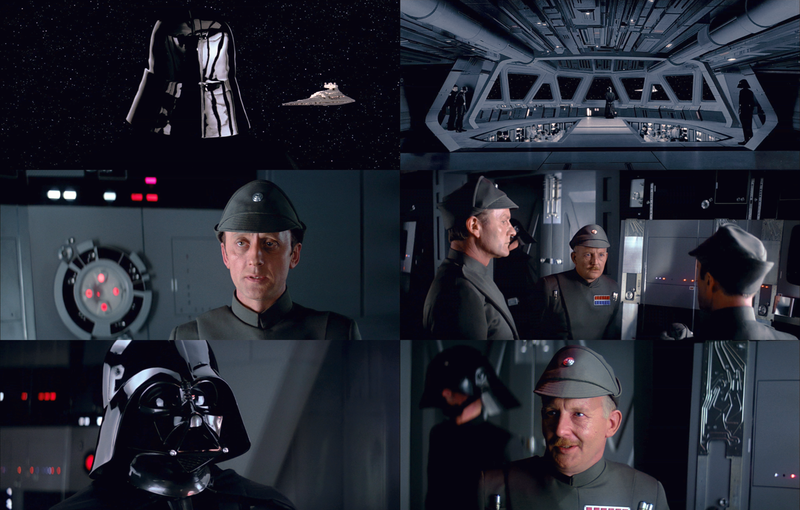 Colour-wise it looks better save for overly pink skintones on the Imperial officers in the second set of frames, but in terms of overall image quality I consider TESB to be the worst-looking of the OT blu-rays. I think the pink that’s coming out in some of the day scenes is actually accurate to what we know about ESB, in particular the 1980 VHS bootleg (which is overly pink, but gives a good hint as to how much blue there is) and some scans. I personally think the progress on this grade looks very nice. 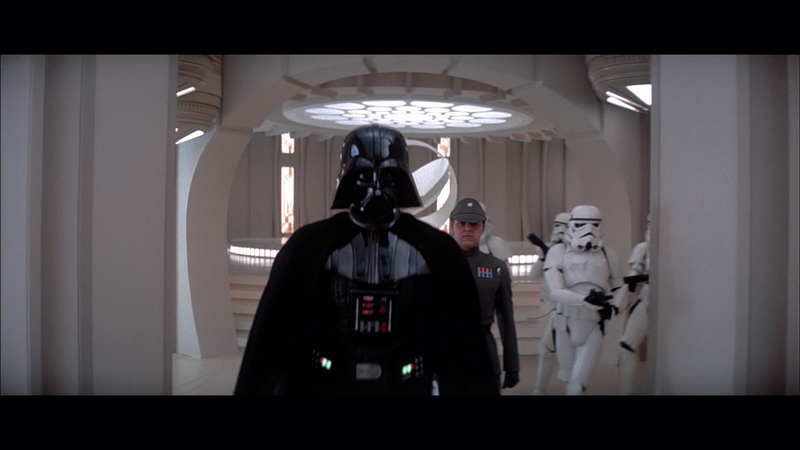 All signs point to Empire in its original form having a very muted palette in comparison to Star Wars, which I think the blu-ray wrecked by turning up the brightness too much, but is looking very nice here. Good work as always, Dre! Back in '95 or '96 the American Film Institute showed the trilogy at their theater at the Kennedy Center. 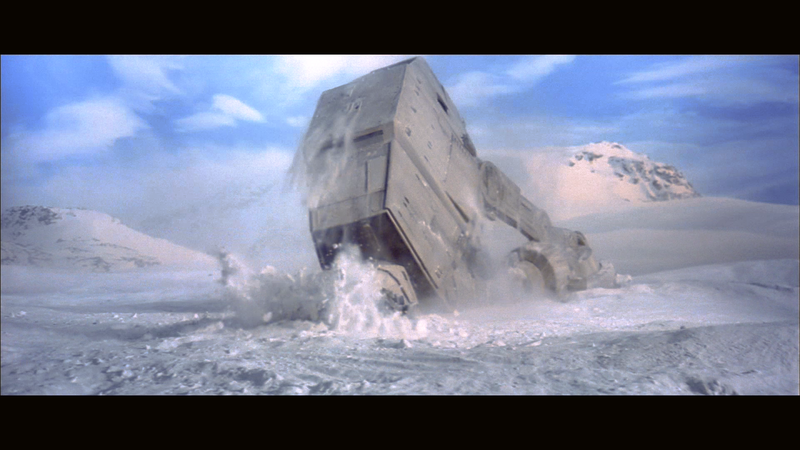 Empire looked very pink, particularly the laser blasts on Hoth. I assumed it was a damaged print and the best they could find (the crawl was in Korean). It would be interesting to find out that that’s how it was supposed to look. See for yourself. The night scenes are a very nice blue on this particular print but there’s a definite reddish hue to the day scenes, Hoth interiors, etc. Any chance of even a rudimentary, automatic version of this to be exported and distributed? The market is starved for ESB regrades. I will see if I can squeeze it in somewhere. Dre, let me know if I can help in any way if you decide to do this. That goes for me, too. If you wanted to transmit me the output, I could handle distribution, etc. according to whatever specifications you’d have. Here’s a little test for the Dagobah sequence.